The Indian national was part of a large, international wire fraud and money laundering conspiracy that involved processing stolen credit card numbers. 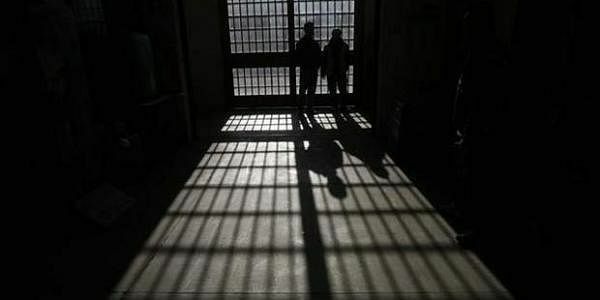 WASHINGTON: An Indian-American has been sentenced to nine years in prison for his role in a sophisticated and large-scale identity theft and credit card fraud resulting in a loss of USD 25 million. Amit Chaudhry, 44, who was sentenced yesterday by a US court in Virginia, has also been ordered to pay USD 4.1 million in restitution had pleaded guilty to the charges in September 2016, federal prosecutors said. An Indian national, who became a US citizen in 2011, court documents said, was part of a large, international wire fraud and money laundering conspiracy that involved processing stolen credit card numbers and laundering the proceeds through hundreds of bank accounts. Some of these bank accounts were set up in the name of shell companies, which did no real business. This fraud and money laundering conspiracy was carried out in part by teams of individuals working together in India, the US, Europe and elsewhere, the prosecutors said. According to court documents, while some members of this group obtained the personal identifying information of real people; other members would obtain the credit card information from actual credit card customers, and yet others would be responsible for electronically processing the stolen credit card transactions. Chaudhry helped laundering the proceeds of the credit card fraud and assisting co-conspirators who would come to the US from India to open bank accounts used to hold and receive fraud proceeds. There were more than 1,000 victims from this fraud, which used various sophisticated means to conceal the identities of the conspirators. According to court documents, from 2001 to 2016, Chaudhry and others conspired to commit visa fraud by submitting false and fraudulent H-1B visa applications by and through various entities that the Chaudhry and others owned and controlled, including Networkxchange, Technologyxchange, Secure Networks, and the Knowledge Center. The conspiracy involved the submission of false and fraudulent applications and supporting documentation to the US Department of Labour (DOL) and US Citizenship and Immigration Services (USCIS). "Some of these documents were signed using the name John King, a journalist who is CNN's chief national correspondent," federal prosecutors said.